Alison is a Solicitor Advocate, and appears regularly at both Magistrates’ and Crown Courts. 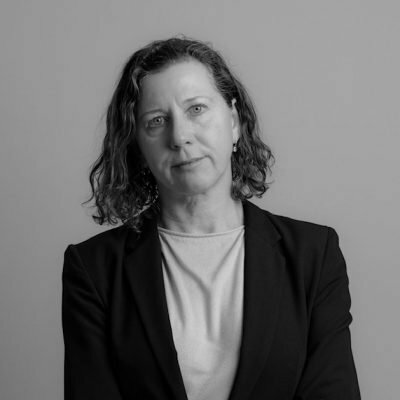 Alison specialises in representing clients accused of involvement in serious and organised crime. She has a wealth of experience in the preparation of complex defence cases including large scale fraud, drugs trafficking, confiscation, homicide, serious sexual offences, kidnap and robbery. Alison has also developed a practice defending clients accused of causing non accidental injury to babies (including baby shaking cases). Alison is a member, and senior panel member of the Legal Aid Authority Peer Review Panel in the category of crime. Defended the main defendant in Operation Spenser, a multi-agency prosecution of an extremely complex commercial-scale identity fraud spanning 20 years. Prosecuted by BIS for failure to notify as a bankrupt the sum in excess of £1 million, following on from a fine imposed by FSA for an allegation of insider share dealing. Complex issues in the case involved the use off shore family trusts. Acquitted main charges. A high profile homicide involving beheading. Client found not guilty by reason of insanity. Secured an acquittal for client charged with gang related murder, where the case hinged on facial analysis evidence and supporting cell site evidence. Filicide, non accidental injury” baby shaking” acquitted of murder. “Baby shaking” charge with GBH, acquittal after successfully arguing abuse of process. Secured acquittal for the main defendant charged with offences of people trafficking and modern slavery. R v GL-Charges of double attempted murder, plea bargained to malicious wounding without intent on representations and service of psychiatric reports. Charges of double attempted murder, plea bargained to malicious wounding without intent on representations and service of psychiatric reports. Charged with attempted murder which was gang related , acquitted of the main charge.